The winner of the College Football Playoff is the undisputed champion of college football. Clemson’s convincing 44-16 thrashing of defending CFP champion Alabama left no doubt as to who rightfully sits at the top of heap. The result is even accepted by everyone in Orlando, where last year a different story unfolded. A season ago, most of the country and the pollsters were convinced Alabama had earned the mantle of the nation’s best after their thrilling overtime win over Georgia in the championship game. The Crimson Tide’s only loss had come against Auburn in the 2018 Iron Bowl. 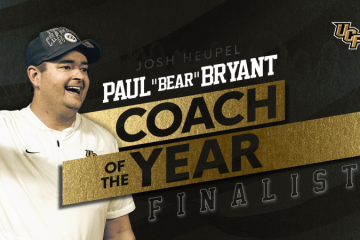 UCF, who won all 13 of their games and beat Auburn in the Peach Bowl, staked their claim to the national championship. After all, they reasoned, the Knights did not lose a game and defeated the only team that knocked off the official titleholder. Former coach Scott Frost believed UCF deserved to be in the College Football Playoff but did not get behind the effort to claim a national championship. 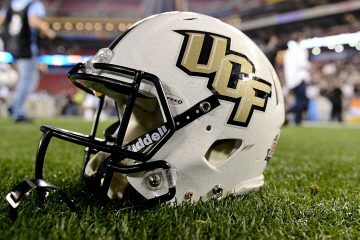 Despite their achievement of being the only undefeated team in major college football, the Knights would only earn the No. 6 slot in the final AP Top 25 poll. Any hint of a potential controversy involving UCF this season was extinguished when the McKenzie Milton-less Knights fell to an injury-depleted LSU Tigers team in the Fiesta Bowl. Even if Milton had not suffered his injury and UCF managed to defeat LSU, no brash predictions of being better than the 15-0 Tigers would be forthcoming. In the final Associated Press Top 25 poll released Tuesday, Clemson was an obviously unanimous No. 1 while Alabama came in second. Ohio State, Oklahoma and Notre Dame rounded out the top five. 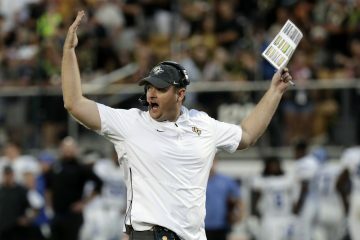 With their loss to LSU, first-year coach Josh Heupel’s Knights finished the season at 12-1 and fell from No. 8 to No. 11. Two bitter rivals tied for No. 7 with the Florida Gators and Georgia Bulldogs earning 1,103 points from the voters. No other Florida school earned a single vote in the poll.